Autism is known as a “spectrum” disorder because there is wide variation in the type and severity of symptoms people experience. Each child may have unique behaviors or symptoms. ASD occurs in all ethnic, racial, and economic groups. Although ASD can be a lifelong disorder, treatments and services can improve a person’s symptoms and ability to function. Symptoms of Autistic Spectrum Disorders (ASD) are widely varied but generally consist of poor communication, struggles with social interaction, delay in mental function, repetitive behavior and interests, and problems with the sensory system. Everyone is different, and each child may have unique behaviors that are outside of or not in the typical range of ASD. ASD is often a decrease in activation throughout the right cerebral hemisphere with an overall decrease in connectivity between the two cerebral hemispheres. ASD consist of 4 different disorders Autistic disorder, Asperger’s disease, PDD, and Childhood disintegrative disorder. Rett syndrome previously fell under ASD spectrum but it is now confirmed that Rett’s cause is genetic. It no longer falls under ASD guidelines. Children with Rett syndrome, primarily girls, start developing normally but then begin losing their communication and social skills. Beginning at the age of 1 to 4 years, repetitive hand movements replace the purposeful use of the hands. Children with Rett syndrome usually have a severe cognitive impairment. Autistic disorder: This is what most people think of when they hear the word “autism.” It refers to problems with social interactions, communication, and imaginative play in children younger than 3 years. Asperger’s syndrome: These children don’t have a problem with language — in fact, they tend to score in the average or above-average range on intelligence tests. But they have the same social problems and limited scope of interests as children with autistic disorder. Pervasive developmental disorder or PDD: also known as atypical autism. This is a kind of catch-all category for children who have some autistic behaviors but who don’t fit into other categories. Childhood disintegrative disorder: These children develop normally for at least two years and then lose some or most of their communication and social skills. This is an extremely rare disorder and its existence as a separate condition is a matter of debate among many mental health professionals. 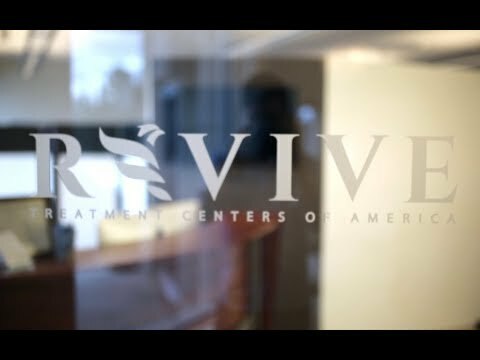 At Revive we specialize in providing treatment to the neurological regions affecting ASD. Your treatment can include balance, gait, and eye training; as well as hand-eye coordination, repetitive transcranial magnetic stimulation (rTMS), hyperbaric oxygen, diet, and supplements. Beyond the neurological system, there are many factors that can impact the presentation of ASD: the immune system, diet, sleep, and stress (to list a few). By integrating knowledge of the brain and influence of these factors, we are able to be very specific with targeted therapies which create lasting neurological changes. Your treatment plan is designed specifically for you and is not a protocol. Function Movement exercises and Whole body vibration have shown tremendous results in increasing strength coordination and self-awareness.